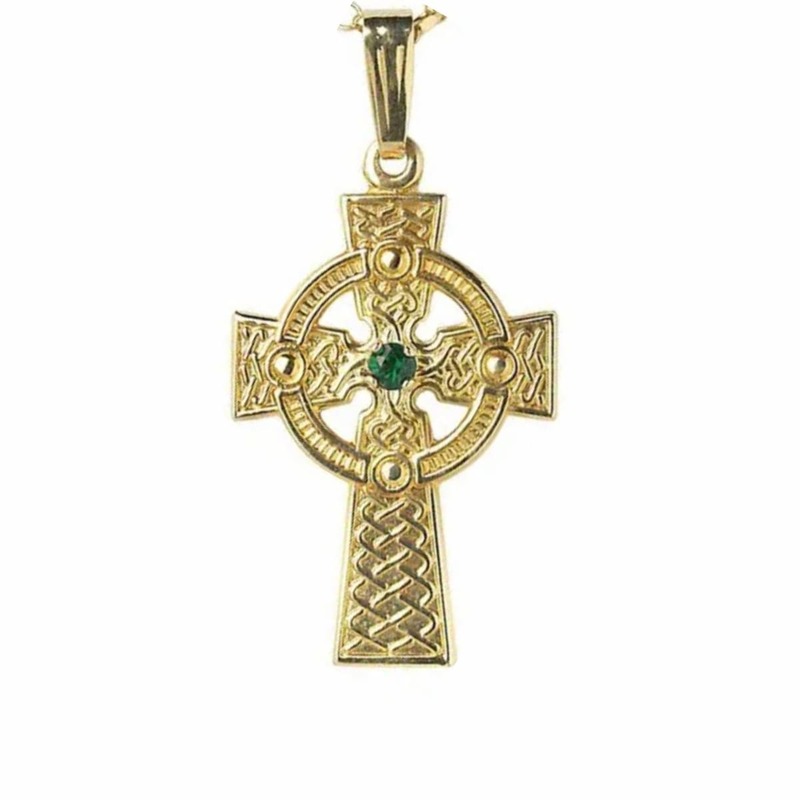 Large Traditional Gold Celtic Cross set with Real Emerald. Handmade and hallmarked in Ireland. This Traditional Emerald-Set Celtic Cross measures 19mm wide and 27mm high (not including bale) and is available in 10k or 14k white or yellow gold. Fitted with and 18″ gold chain and presentation box. Handmade and hallmarked in Ireland.